Elderly men who go out less than once a week are more likely to suffer poor nutrition than those who leave their house more often, a health ministry survey for 2017 showed Tuesday. There was little difference in the nutritional status for elderly women, regardless of how often they go out. "Elderly women tend to be more active while staying at home, doing their household chores," the ministry said. "Men who don't go out often tend to be physically inactive and not to consume much energy. They may be eating less as a result," it added. 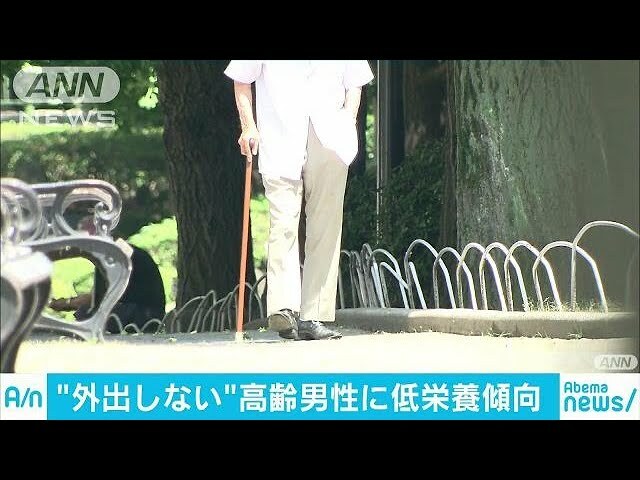 The share of elderly men who said they go out once a week or more often stood at 94.8 pct for the age bracket of 65-74 and 92.6 pct for 75 or older. For women, the share came to 97.2 pct and 87.5 pct, respectively.